Did you know that 4 out of 5 people living with blood cancer are unable to find a donor match? Working alongside our Education Co-Ordinator, Joe, we were aware that he was heavily involved with RABC and that he and his volunteer team are working hard to raise the profile of the charity. As we travelled the UK together filming productions with high profile football clubs and their youth teams, we realised that there was a huge opportunity to support the charity through a combination of football and digital content. 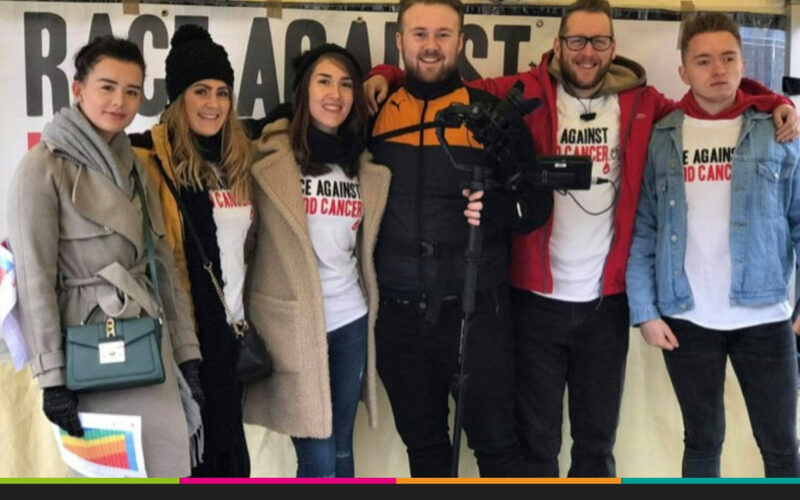 After some brews and brainstorming, it was clear that we could create a massive impact by filming an upcoming donor drive at Wolverhampton Football Club. 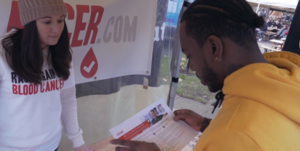 The donor drives are hosted by an unbelievable group of volunteers who educate people on what the donor register is and ultimately, encourage people to sign up. 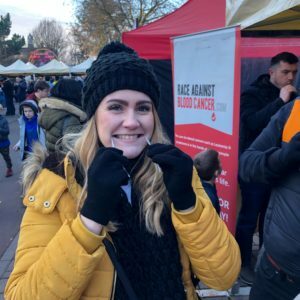 On the 25th November, the 25/8 team joined forces with Community Engagement Officer, Gemma and the RABC volunteer group to raise awareness, funds and the number of people on the donor register! 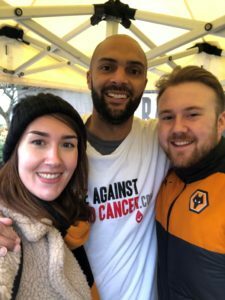 As fans flooded the family fun park to find out more, our digital team had opportunity to interview Wolves goalkeeping legends Carl Ikeme and Matt Murray. This was particularly significant because Carl had to retire from professional football in 2017 when he was diagnosed with acute leukaemia. Thankfully, Carl is now in remission and following his diagnosis and recovery, is now an active advocate for the charity. 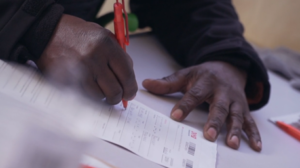 Carl’s story is particularly important because there is an urgent need for people from genetically diverse heritage to sign up to the register. People who are part of a minority group or of mixed heritage have less than a 20% chance of finding a match. Speaking with Carl about his life changing experience reinforced the importance of the donor drives and the very real impact that being a donor can have on people diagnosed with blood cancer. With plans to distribute the powerful footage from the day to other football clubs to showcase the effect of the donor drives, we are confident that this will secure more donor drives at other leading football clubs. Given the lack of diversity on the donor register, hosting drives where there is a potential audience of 1000’s, it is hoped that more people will sign up to the register; particularly those with a diverse heritage. Race Against Blood Cancer is a non-profit charity whose goal is to increase the volume and diversity of people who register as potentially life-saving donors. The ultimate aim of the charity is to increase the number of people from minority groups who are underrepresented on the donor registry as stem cell or bone marrow donors.